This evergreen small tree has oval glossy green leaves. 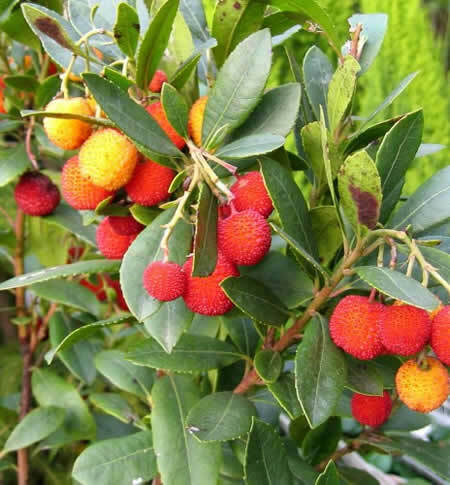 Arbutus flower from late autumn to winter. Large heads of Lily of the Valley like flowers are held on chains about 20cm long. White with a pink blush. The fruits appear in the summer turning from orange to red. A great specimen tree, pot, hedge,or at the back of borders.